Wonderful South Lake Tahoe Home - Sleeps 10 Comfortably - 2200 Sq. Ft. - Single Story - All the comforts of home! Free Wi-Fi for all you Internet Users! This is a big, single story home with a gourmet kitchen featuring a trash compactor, Jenn-Air stove and oven, large center island and all the accoutrements for a wonderful meal. Better yet, just turn on the gas BBQ and throw something on the grill... Even Better yet... dine at one of the famous restaurants only a stone's throw away. Enjoy the privacy of our Hot Tub on the deck while watching your children play in the Snow in the back yard. The swing set can keep them occupied a long time. Not an outdoors enthusiast? Enjoy the comfort of an indoor Jacuzzi and Steamroom in the master suite. We keep the cabin/house in excellent condition. A professional cleaning service is employed along with a spa service to keep the spa healthy, clean and inviting. Snow removal service is included and there is plenty of parking. The garage offers a safe place to store your skis, boat or even your car. We know that once you visit us, you will come back. Realtor & Mortgage Broker, I have owned this property for 15 years and have rented it to hundreds of families that love the Lake Tahoe vacation experience. I grew up close to South Lake Tahoe and plan to retire there. The weather is great, lots of year round indoor and outdoor activities. The local people are very friendly. Snow skiing and boarding, water activities, hiking, bike riding, golf, gaming, music concerts, too many others to list. 1.5 miles to the casino's and Heavenly Resort. 5 Blocks to Timber Cove Beach, Pier and Marina. Great Restaurant and Bar on the Pier. City of SLT VHR#103247. 1 Block from 18 hole public golf course. Great mountain and meadow views. 1.5 Miles to the Heavenly Ski Resort Gondola, or the Heavenly Ski Shuttle stops at the corner every hour to take you to the Gondola and bring you home. High Speed Wi-Fi wireless connection. Boat Ramp to Lake Tahoe, 1/2 mile form home. 6 courts at Middle School 1/2 mile from home. Bijou Golf Course 1 block from home. Steam room in master bathroom. 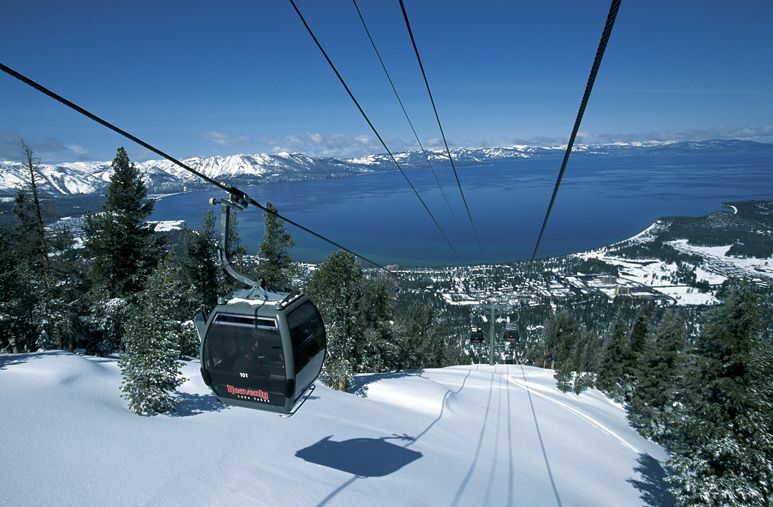 Less than a mile to Heavenly Valley Ski Resort for Downhill skiing, tubing and summer hiking with views of Beautiful Lake Tahoe, Only 1.5 miles to casinos and the Heavenly Ski Resort Gondola, Walking distance to Lake Tahoe, Timber Cove Beach and Boat Rentals, Bijou Golf Course, Restaurants and Shopping.